Exercise exerts beneficial effects on blood pressure, lipids, glucose tolerance, bone density, depression, and quality of life. In addition, exercise can help us preserve brain function as we age. It has to do with the way exercise. If we are breathing correctly, it causes our bodies to use more oxygen which in return helps preserve that brain function. When we exercise with intensity, we cause our brain to have to practice getting by for a few minutes at a time without adequate oxygen. This is because your muscles are using it all. 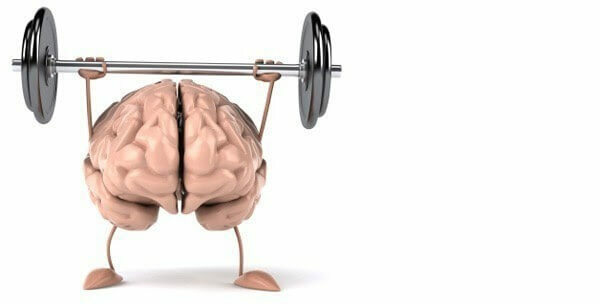 When your brain is low on oxygen, something called “brain-derived neurotrophic factor (BDNF) gets released in response. BDNF is neuroprotective and helps neurons create more branches between each other to facilitate better communication. This is good. This is what we want. You want your brain to be able to talk to itself. So, the way to make this happen is to kick up the intensity of your exercise. You have to push hard enough that your muscles start sucking up all the available oxygen. This means that if you’re a weightlifter you need to include a “burn out” set with a light weight at the end of a tough lifting session where you hit it hard until that light weight isn’t so light anymore and you find yourself gasping for breath. If you’re a runner, do some sprints here and there. The sprinting will cause your brain to practice getting by for a few minutes at a time without adequate oxygen. The brain-derived neurotrophic factor (BDNF) will get released in response. The reality is that most of us spend our day sitting at a desk or in our cars. We staring at computer screens or our phones. We have move our bodies more so that we don’t prematurely age both mentally and physically. The best time to start is years ago, and the worst time to start is “later.” And don’t think it’s too late to start. It’s never too late.